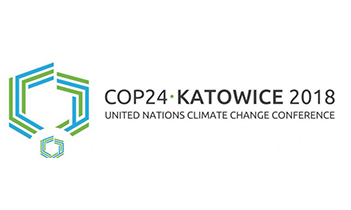 Quantis will be touching down at COP24 in Katowice, Poland this week, for a panel discussion focused on enhancing the role of land use in climate change mitigation. Among others, Quantis will be joining EIT Climate-KIC, the host of the side event taking place on December 6 from 2:30 PM—4:00 PM CET. The session will highlight the key role that land use activities can and need to play in mitigating climate change, with a particular focus on the need for better systems for emissions accounting and on the opportunities to develop financial mechanisms that can lead to further progress. Quantis Senior Sustainability Consultant Dominik Müller will present the REDD-Chain Project, a project that will produce a methodology that combines blockchain and remote-sensing technologies to improve transparency and traceability in forest carbon accounting. Contact Quantis Senior Sustainability Consultant Dominik Müller to learn more about how the REDD-Chain Project will shape the future impact of forest carbon accounting and land use change emissions, how to get involved or to connect at COP24.